GMN ball bearing freewheel clutch units and complete freewheel clutch units have standard ball bearings integrated. GMN series RL 400 roller bearings are available as an accessory for GMN freewheel clutch insert elements FE 400, FE 400 Z and FE 400 Z2. 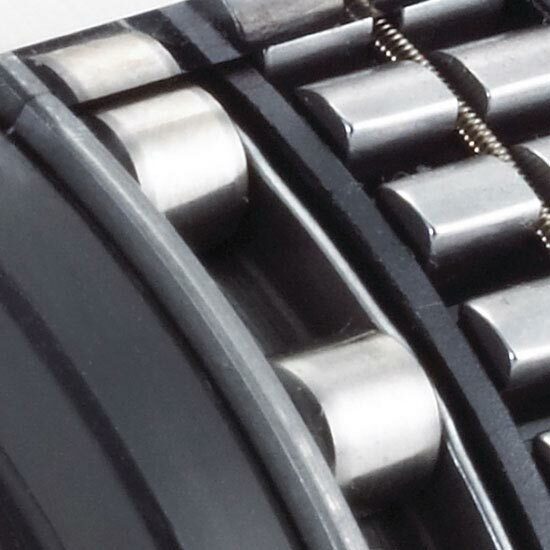 The rings each have a ground ball bearing raceway and form a unit with the balls which cannot be taken apart. The ball bearing raceways for all inner and outer rings are individually measured and paired. 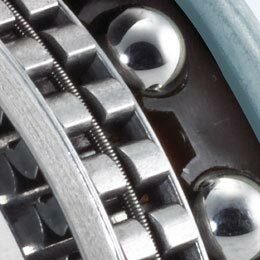 Bearing play between C3 and C5 is established according to the tolerance fields of the connecting parts after press-fitting the freewheel clutch. Minimum bearing play C3 is achieved with the largest dimension of the shaft’s diameter and the smallest dimension of the bore diameter (hub). GMN roller bearings with the tolerance “-4” (4 μm below nominal dimension) are produced both as components for GMN complete freewheel clutch units and as separate accessories. 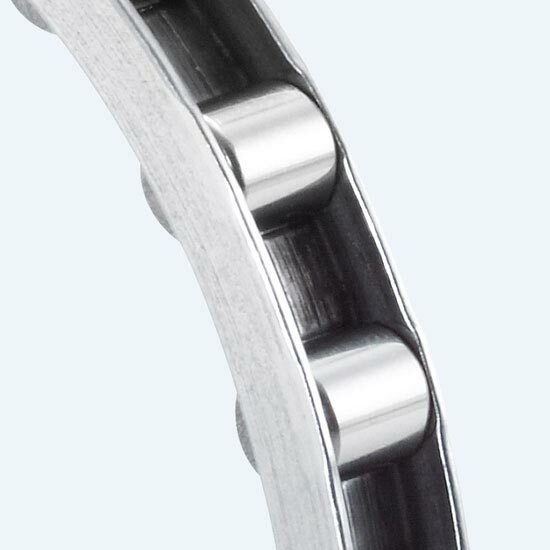 For applications with reduced bearing play, tolerance “0” is also deliverable on request. (Ordering designation e.g. : RL 432-0).